Columbus State Community College is one of the most searched for colleges in America, according to a recent internet keyword search of basic two and four year colleges. The enrollment at this college is well over 27,000, with an average class size of about 20 students. The academic year consists of three semesters: Autumn, which begins in late August; Spring, which begins in mid January; and Summer, which begins in late May, and features a condensed class schedule. Notable graduates of Columbus State include David Miller (CEO of Cameron Mitchell Restaurants), Curtis Duffy (owner of Grace Restaurant), and Terri B. Jamison (Ohio court judge). Here are the answers to 13 frequently asked questions regarding Columbus State Community College. 1. Where is Columbus State Community College? Columbus State has two campuses in the state of Ohio. The main campus is located at 550 East Spring Street in the city of Columbus, Ohio. The other campus is situated at 5100 Cornerstone Drive in Delaware, Ohio, which is located about 25 miles north of Columbus. The Columbus campus is nestled near a tangle of freeways just northeast of downtown. This makes the college very easily accessible by car. The Delaware campus is more remote, but still within walking distance of the Delaware Health Center and the Delaware Area Career Center. Columbus State also has regional learning centers in the towns of Dublin, Grove City, Marysville, Reynoldsburg, Westerville, and Bolton Field. What's more, distance (online) learning is also an option, so you are able to reap this great school's program benefits from the comfort of wherever you may be. Columbus State's service area includes Franklin, Madison, Union, and Delaware counties. 2. What courses and programs are offered at Columbus State Community College? Columbus State offers a wide array of Arts & Sciences programs, as well as a broad range of career program majors. Students who are working on their bachelor's degree transfer credits can choose from nearly 40 Arts & Sciences courses. These courses include various required and elective studies such as Anthropology, Art, Astronomy, Biology, Chemistry, Communications, Economics, Geography, History, Math, Music, Physics, Political Science, Speech Pathology, Sociology, Theater, and many others. Also offered are a number of language courses, including Arabic, Chinese, English, French, German, Italian, Japanese, Spanish, and even Latin. Bonus programs at Columbus State include studying abroad in exotic locations such as Spain, Mexico, and Guatemala. In the past, Columbus State students studying abroad have also visited Cuba, Japan, and Denmark. The school also features service learning classes, which combine in-class teaching with useful community service projects. 3. What types of certificates and degrees are available at Columbus State Community College? Columbus State features two transfer programs for students who are working toward their bachelor's degrees. A student at Columbus State can earn either an Associate of Arts (A.A.) degree, or an Associate of Science (A.S.) degree. Students who earn either of these degrees can typically use them to transfer to a four year college. Columbus State also offers certificates of training for their career programs. Career programs at Columbus State are two year programs that are designed to help students land jobs immediately upon graduation. Some certificate programs can also be used as transfer credits to enter a four year college. Certificates available from Columbus State include the Associate of Applied Science degree and the Associate of Technical Studies degree. 4. Who should attend Columbus State Community College? Local Ohio residents who have to work for a living, or who wish to save money on their college educations, might consider enrollment in a transfer degree program at Columbus State. From there, they can switch to a four year college for the last two years of their post secondary education. Obviously, the cost of community college is cheaper than four years of tuition at a full fledged university. Columbus State would also be of interest to people who wish to learn new job skills, or to improve on their existing job skills. A graduate who holds a career program certificate from Columbus State can either switch to a better job, or possibly get a raise or a promotion from his or her current place of employment. In addition, high school students can get a head start by attending Columbus State to earn college credits before they even graduate from high school. 5. Why enroll at Columbus State Community College? Columbus State provides an excellent start to your lifelong learning experience, especially if you live in the area. There are so many programs available that you are bound to find something you like at Columbus State. The programs and timelines at this college are super flexible. The school offers many different learning formats and various individualized opportunities. The most noticeable benefits of attending any two-year college are affordability and convenience. 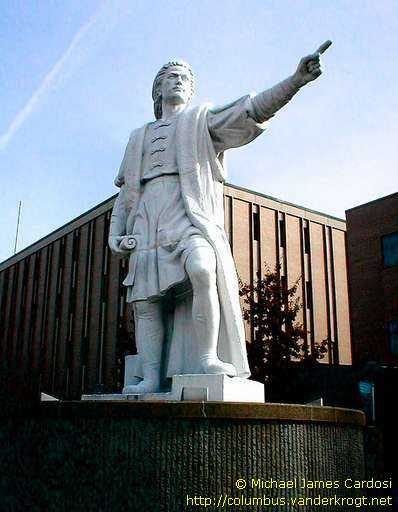 Columbus State has everything you could want from a local community college. 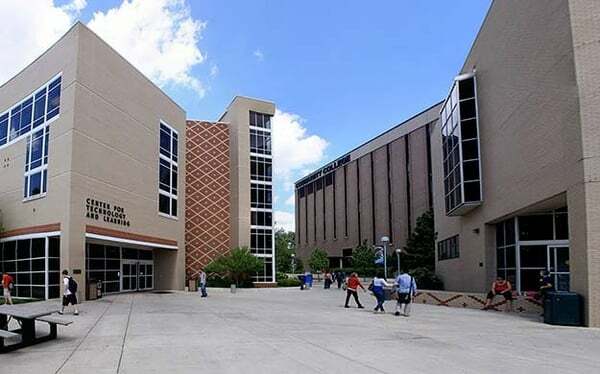 However, if it happens that Columbus State doesn't have what you're looking for, other nearby community colleges include Central Ohio Technical College in Newark, Marion Technical College in Marion, and Clark State Community College in Springfield. 6. How much does it cost to attend Columbus State Community College? In terms of the cost of tuition, there are three types of students at Columbus State. According to the school website, residents of Ohio only need to pay a fee of $135.93 per credit. Out of state U.S. residents are required to pay $301.03 per credit. International students are charged $361.24 per credit. A typical class at Columbus State is worth 3 or 4 credits. The total cost per credit includes tuition and “general” fees. 7. How long does it take to earn a degree or certificate at Columbus State Community College? Generally speaking, it takes approximately two years of full time study to complete most certificates and degrees that are available at Columbus State. However, it may also be possible to attend the college part time and take longer to achieve your degree, or to accelerate your program, increase your workload, and earn your degree sooner. In fact, the number of part time students enrolled at Columbus State is two or three times greater than the number of full time students. 8. What is the Columbus State Community College campus like? 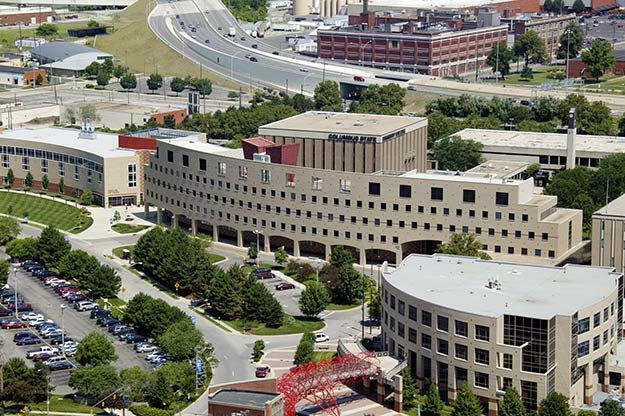 The main campus of Columbus State sits on more than 80 acres of property in the Discovery District of Columbus, Ohio. This property is dedicated exclusively to the college. The campus features a fabulous food court, as well as hosting numerous student activities in the form of clubs, organizations, and varsity sports. Sports include basketball, volleyball, golf, cross country, and cheerleading. The campus features 26 buildings, and also has its own library. 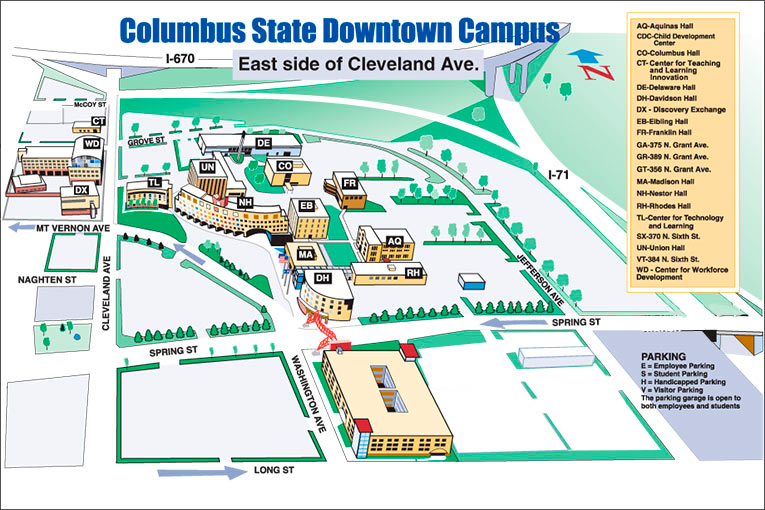 Scroll down for a map of Columbus State's main campus. Columbus State does not provide dorms or any on-campus student housing. However, there's a page on the school website where you can find roommates, apartments, and low cost housing options in the city of Columbus. The Delaware County facility sits on a 106-acre campus in Liberty Township. It's a brand new Columbus State campus, with the first building completed in 2010. 9. What is there to do in the neighborhood of Columbus State Community College? The main campus of Columbus State is located within walking distance of downtown Columbus, and all the attractions therein. Nearby points of interest include the Columbus Museum of Art, the Ohio Statehouse, Goodale Park, a concert venue called The Bluestone, which is located inside a church, and the Scioto River, situated just a few blocks southwest of the campus. Also nearby are many fine places to sit and dine, in addition to a collection of vending machines, a tortilla food truck, and a Subway sandwich shop. 10. When are classes held at Columbus State Community College? Summer classes at Columbus State begin in late May every year, soon after Memorial Day. Fall classes begin in late August every year. Spring classes begin in mid January every year. Classes are in session all day on weekdays. Spring and fall classes last for 16 weeks. The school's summer classes are more condensed. At nights and on weekends, Columbus State features a series of free non credit courses. Among the school's non credit offerings are basic English, basic Spanish, basic computer skills, and writing practice. 11. When is the admissions application deadline for Columbus State Community College? The admissions application deadline for the fall semester of 2017 is Monday, August 7th, and is around that same time every year. The last day to register for classes at Columbus State is September 7th. Check the Columbus State website for specific deadline details on applications and registration. Mark your calendar accordingly. 12. When is the payment deadline for Columbus State Community College? The last day to pay fees for the summer semester is Monday, June 12th 2017, and around the same time every subsequent summer. For the autumn semester, fees are due by Wednesday, August 23rd, and around the same time every fall thereafter. Check the Columbus State website for exact due dates and deadlines. Columbus State does not allow late registrations. 13. What is the contact information for Columbus State Community College? To reach the main campus in Columbus, you can call 614-287-5353, or send an email to information@cscc.edu. You can access the Delaware County campus by calling 740-203-8345, or by sending an email to delaware@cscc.edu. You can also follow a link on the right to contact Columbus State through the school's website.